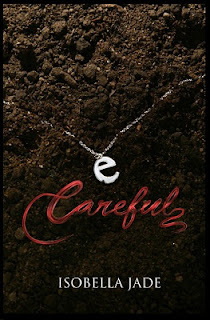 Isobella Jade's Petite Modeling Tips: Tomorrow Careful's book launch podcast reading and chat! Tomorrow Careful's book launch podcast reading and chat! YAY! YAY! A BLAST OF SUNSHINE! The day has come! Tomorrow I'm hosting a podcast reading and chat for the book release of Careful! On the podcast I'll chat about the elements of friendship, forgiveness, revenge and bullying that show up throughout the book. Careful is a heartfelt and sentimental read that circles around friendship, family, forgiveness, revenge, bullying, loss and love.